Washington has begun a new phase in its geopolitical financial warfare in the small Baltic republic of Latvia. Within days it managed to force the Latvian government and the European Central Bank to force the dissolution of Latvia’s third largest bank without even a hint of a legal process. 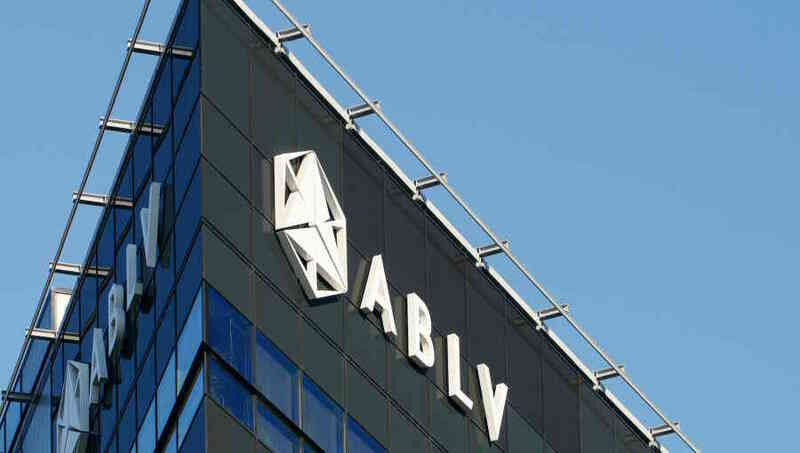 Whatever the true relation of Latvia’s ABLV Bank AS to money laundering, to North Korea or to Russia, the Washington move can be seen as an ominous precedent for a next phase of blackmail on the financial structures of the European Union or other foreign states not singing the preferred Washington tune . At that point the ECB instructed the Latvian supervisory authority, the Financial and Capital Markets Commission (FCMC), to impose a moratorium on the bank to give time to the bank to stabilize its situation. A moratorium was also imposed by the Luxembourg authorities for the subsidiary of the bank in Luxembourg. In the space of a mere ten days the US Treasury, issuing what it calls a “draft,” managed to force the EU to kill one of the banks of the Eurozone, moreover a bank with extensive ties to Russian and Central European companies, without benefit of legal proceedings or hearings. The issue is not whether ABLV was doing money laundering or not. Many more prominent banks such as HSBC or JP MorganChase or the highly esteemed Deutsche Bank, have been charged with significant illegal money laundering for organized crime or other illegal actions and received little more than a slap on the wrist. There seems to be a political agenda behind this latest US Treasury action, and indications are it is the beginning of what is likely to be an operation to completely cripple Russian financial activity in the Eurozone that has somehow managed to avoid the worst of US financial sanctions so far. The EU attack on Cyprus in 2012, imposing a radical new bail-in law that saw depositors forced to pay a share of Cyprus bank bad debts, created the trigger for many Russian companies and Russian high-net-worth clients reportedly to shift from Cyprus as their EU foreign base of finance to Latvia. ABLV has been the largest benefactor of that Russian and Central European money inflow since then. Clearly the US Treasury has been waiting for the right moment to strike. Now with Russia in a key role in brokering a ceasefire (against Washington interests) in Syria, as well as recent Moscow diplomacy to avert an escalation of the North Korea crisis that Washington so devoutly wishes, hitting a key financial artery of select Russian companies is an excellent way to “hit Moscow where it hurts,” as it seems. The US Treasury notice that killed ABLV last month is lacking in any detailed charges that show a smoking gun or even a gun at all. The statement declares it is based on, among other issues, the involvement of ABLV with “entities” involved in the North Korean missile procurement. The indictment claims that the majority of ABLV’s customers are “high-risk shell companies registered outside of Latvia.” How they define or even determine high risk is left to the imagination. As for their use of the term “shell companies registered outside Latvia,” most major US corporations such as Apple or Halliburton use offshore shell companies to avoid US taxes. All evidence in the Latvian bank killing points to a new phase of US financial warfare against Russia and Russia’s ability to avert the effects of those US sanctions. The timing is suspicious as well, as it comes just days before the important March 18 Russian presidential election. Following the EU actions against Cyprus banks in August 2012 where the controversial “bail-in” practice was tested by forcing bank depositors above a certain amount to “bail in” and face loss, Russian corporate offshore funds reportedly moved to Latvia as an alternative. Since Latvia joined the Euro in 2014 Latvia has become a major channel to allow Russian corporations and banks to operate within the EU. The ABLV became the major beneficiary of that Russian inflow. In August, 2017 the US Congress passed the Countering America’s Adversaries Through Sanctions Act (CAATSA). That law requires the US Treasury Secretary, former Goldman Sachs banker Steve Mnuchin to “describ[e] in detail the potential effects of expanding sanctions…to include sovereign debt and the full range of derivative products” of the Russian Federation. On January 29, the US Treasury issued that report. It included 1) Section 241: Report on Senior Foreign Political Figures and Oligarchs in the Russian Federation; 2) Section 104(e): Report on Contributions to Iran’s Ballistic Missile Program; 3) Section 242: Report on Effects of Expanding Sanctions to Include Sovereign Debt and Derivative Products; 4) Section 273: Examining the Counter-Terror Financing Role of the Department of the Treasury in Embassies; and 5) Section 311(d): Designation of Additional Persons Related to North Korea. Further to this report, it released a list of numerous Russian cabinet members and business reportedly close to President Putin, though bizarre enough, declaring that the people list was not a sanctions list. The timing of the CAATSA report and days later of the US Treasury announcement killing a known bank used by Russian companies in the EU suggest that Washington is taking aim now at breaking the remaining ties between EU banks and Russia, hitting North Korea in the process. Clearly Washington is aiming at far more than a tiny Latvian bank. It is also a major reason why the Russian Central Bank is buying gold reserves at a fever pace. In February official Russian state gold holdings exceeded those of China, another heavy gold buyer, for the first time. And Russia recently announced that Russian financial institutions and firms are ready to work without SWIFT’s interbank cash transfer services, according to Deputy Prime Minister Arkady Dvorkovich. An escalation of direct US financial warfare against Russia could unleash far more negative consequences for US and EU financial systems than Washington bargains for. What is alarming or should be to depositors or citizens of countries outside the United States is how this ABLV case sets a precedent for far more serious financial attacks on key banks of countries that refuse to follow a Washington agenda.